We had our weekly language lesson this morning with Tamara and it was a very helpful one. 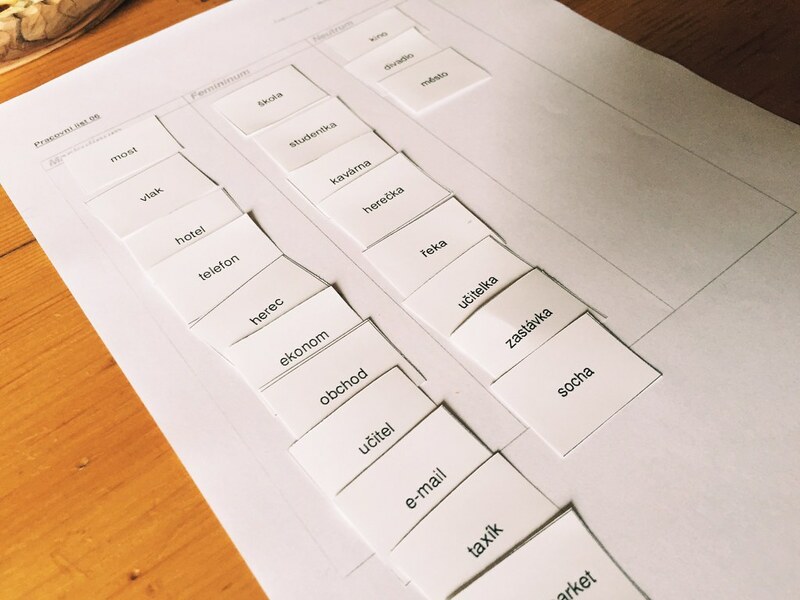 Above you can see a photo of us trying to categorize certain words based on masculine, feminine, and neuter and then we had to add an adjective in front of it. In English this really isn’t too hard grammatically, but in Czech there are a lot of things that change based on the gender. The simple act of drilling these things is always so helpful to get it to really stick. This afternoon we were driving up to our house after picking up Titus from school and we saw the postal service lady on her bike delivering our mail. As we got closer we saw her launch a package over our fence on to the wet brick. When I say “launch,” I mean it. That bad boy flew! After parking the car in the garage Titus ran and got the package off the ground and I heard him say, “Hey!! !” as he realize who’s name was on there. He saw “Titus Thomason” written on the front and it was a package from Nana and Papa for his birthday. He was so excited (as you can see in the photo above) and I quickly grabbed my camera to try and capture his emotions. 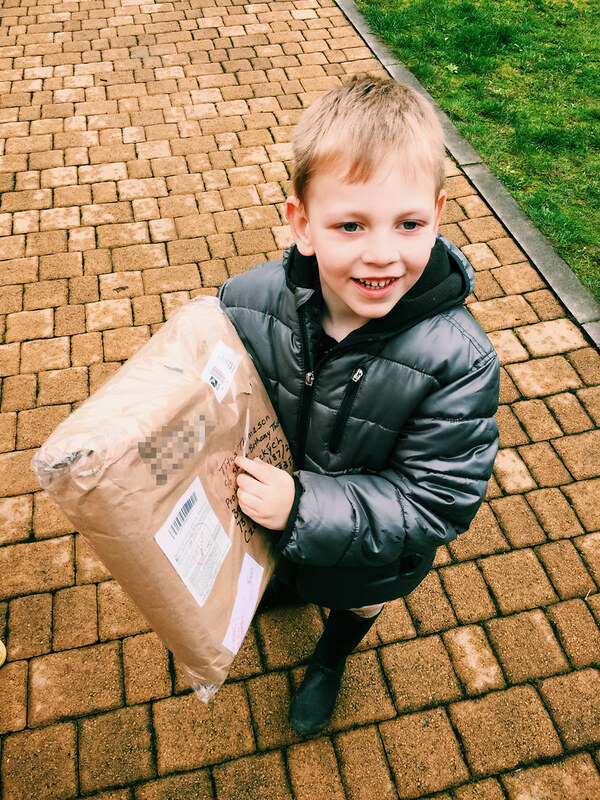 We haven’t let him open it just yet, but he’s getting excited about turing five next week! Earlier this week I was driving in to the office and I was thinking about how much harder it is to try new things. As we’ve been here almost 10 months we’ve basically settled in to a routine and haven’t really branched out as much lately as we did in the beginning. This goes for everything from food we buy at the store, trying new coffee houses or restaurants, and even just exploring the town. Now, it has been pretty cold until recently so walking the town hasn’t been high on the priority list, but I still think we were a lot more open to getting out there and seeing things in the early days of arriving here. With that in mind, today at our lessons we were talking to Tamara about our town and things and she mentioned that the Polish side of the town we live in has really good, inexpensive restaraunts. She even pulled out her computer and showed them to us on a map. We wrote some notes and I even put some info in to my phone so that we might explore that later. But this afternoon Bethany said, “Do you want to go try one of those new places Tamara told us about?” I said, “Sure, let’s do it.” Her next questions was, “Are you sure you’re up for that?” What she’s trying to ask is, “Are you ready for the language barrier and the hassle of getting out trying something new.” Because Bethany knows that it’s not easy, just the same way I do. I think that’s part of the reason we haven’t explored more in the recent months. It’s not easy to get out there and test the waters, be vulnerable, make mistakes, waste time, be confused, etc. But we decided to venture out and I’m glad we did! The restaurant we went to is only a few minutes from us by car, just inside the border of Poland. 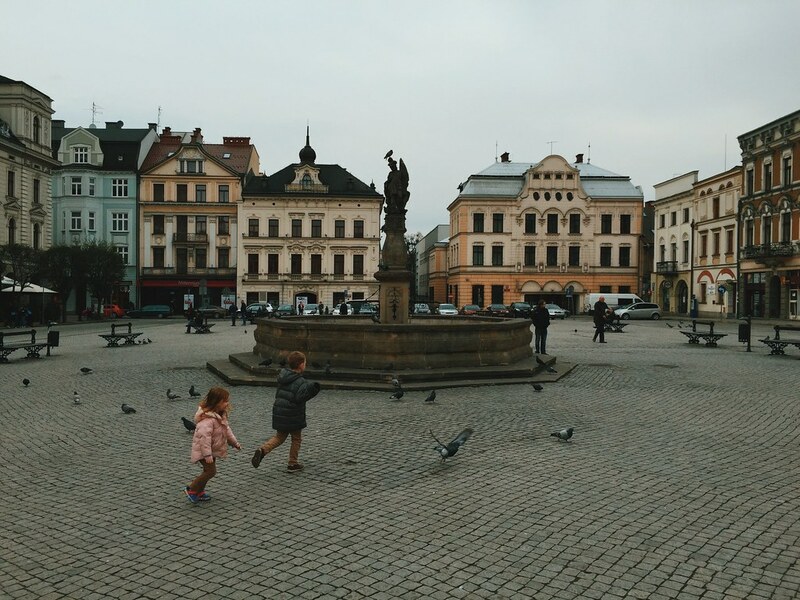 It’s in the town square and we’ve been there before, and the kids love chasing the birds around. The place we ate was inexpensive and the waiter spoke English which made the experience for us much nicer. The hardest time we had was trying to figure out how to pay for our parking because I didn’t have any Polish coins! I ended up using an ATM to get wash, walking into a Kabob shop and buying a coke just to get change (again, inconvenience often keeps us from trying new things). 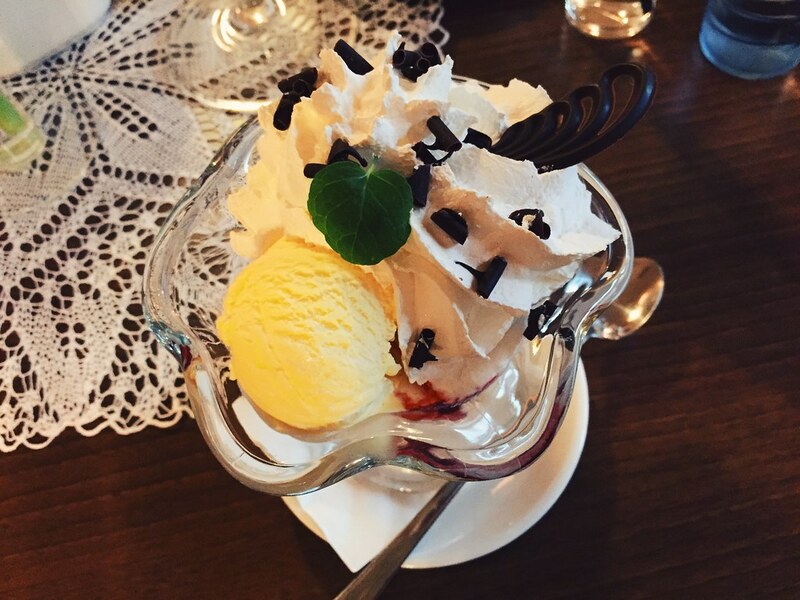 But we had a sweet time with the kids and we even went ahead and tried their vanilla ice cream with hot raspberry sauce dessert…mmm….it was good. We all loved our food and I’m just really glad we tried something different today. I’m constantly amazed at how hard it actually is to get yourself to do something you know will be annoying, hard, and difficult, even when it’s just going to a new place to eat! That’s all part of the transition, I guess?